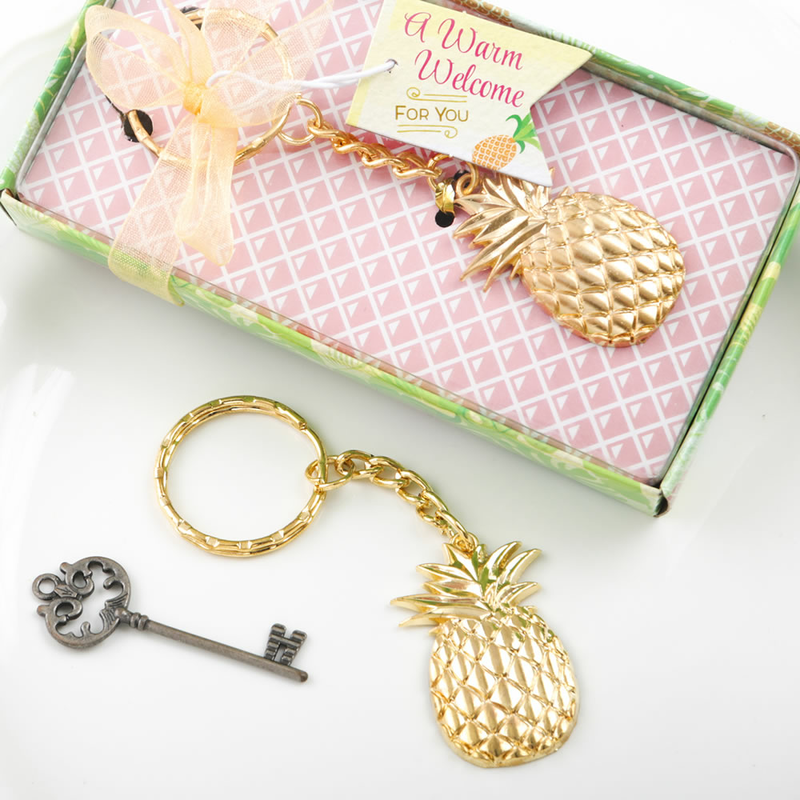 Give your guests a warm welcome with these fun gold pineapple party favors keychains. Made of metal with a gold plated finish, your guests are sure to remember your event each time they take out their keys. The charm measures 1 1/2" x 1" and with the chain and ring the piece measures 3 1/2". The tropical look extends to the packaging with a clear display top and a gold organza ribbon wrap and bow, and tropical tag. Thank you for all your help in ordering the keychains. Everyone I spoke with was professional and courteous and pleasant to deal with and everything I ordered was received in good shape. Thank you again for your assistance and I would definitely deal with Cool Party Favors again if I have another occasion.